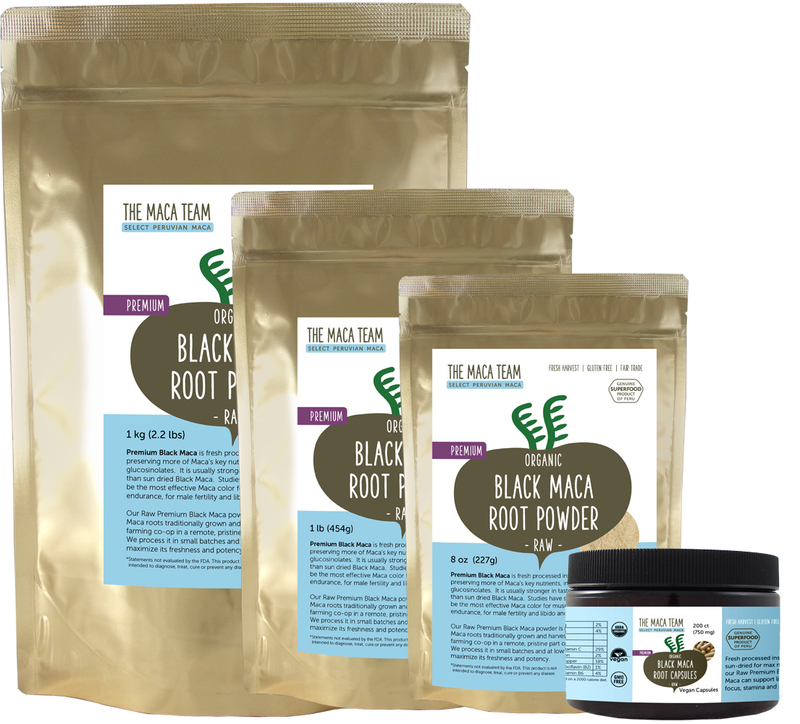 ...is made from light to dark gray Maca roots, which are the rarest of Maca root colors, accounting for less than 20% of the annual harvest. Instead of being sundried, these roots are fresh processed immediately after harvest. After coming out of the ground they are cleaned in a citrus solution, ground into a pulp and low temperature dried. This special processing leaves more glucosinolates in the final product. 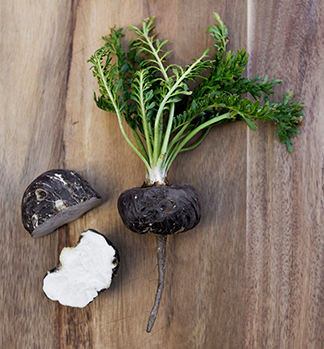 The level of glucosinolates is standardized at above 1% in our Raw Premium Black Maca. Compare all of our Maca products here.